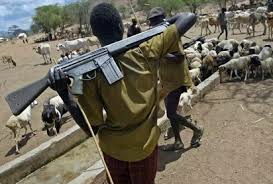 Reform in the fiscal and the security sectors can aid the effort to alleviate the growing tension between nomadic herdsmen and sedentary farmers which has captured national consciousness lately. Unfortunately, these clashes are fast becoming a way of life in Nigeria. In 2017 alone, deadly confrontation between roving herdsman and local communities were reported in every geopolitical zone except the North-west. Sometimes, it is the herdsmen who get the worst of it as in the celebrated case in 2000 when the then General Muhammadu Buhari led a delegation to Governor Lam Adesina to protest the killing of dozens of Fulani herdsmen in Oyo State. At other times, it is the local communities who suffer as in the most recent incident of January 1, 2018 with the massacre of some 70 citizens of Guma and Logo local government areas of Benue State by herdsmen or their agents. In all cases, human lives are lost, the economy is battered, and trust among neighbours is undermined. All people of goodwill must do all they can to reverse this negative trend in our body politic. It is arguable that the ideology of restructuring which is gaining in popularity nationwide can contribute significantly to the effort to build a better Nigeria. The security aspects of structural reform, as presented in the 2014 confab report, is quite insightful and can impact positively on such disasters as we have seen in herdsman/farmers clashes across the country. The recent tragedy in Benue State will serve as a case in point. The lapses in security and failure of law enforcement in that state could have been avoided by the presence of a state police force. When Governor Samuel Ortom and the Benue State House of Assembly passed the “Anti-Open Grazing Prohibition Law 2017,” the Fulani socio-cultural group the “Miyetti Allah Kautal Hore Fulani” openly challenged the edict. The group insisted that land belongs to all who need it, particularly the Benue valley area which the Fulani claim is their ancestral land. This face-off between the Ortom administration and Miyetti Allah called for a drastic and rapid intervention by the police. Unfortunately, the security forces were caught napping, evidenced by the carnage in Logo and Guma local government areas of Benue State. Sadly, what happened here is commonplace in Nigeria. The police force is notoriously inefficient. Corruption is rife in the force. A policeman will take a N200 bribe, and look away from a crime. Recently, the Yoruba Council of Elders (YCE) posited that “a centrally-controlled security outfit cannot be effective in a heterogeneous multicultural country like Nigeria.” The main reason why law and order failed the people of Benue is because a “centrally-controlled” police force; that is the Nigerian police was in charge of operations in that state. A Nigerian police officer gets his instructions from the federal government. He is paid by the federal government. He or she could be posted at anytime to any part of the country or outside of the country. His loyalty is not to the state, but to the federal government. On January 1, 2018 Governor Ortom and the people of Benue learnt a bitter lesson, experienced everywhere the herdsmen have struck. The federal police will not stop the mayhem. They will not fight the herdsmen, and if you fight back killing herdsmen or their livestock, you fall into the dragnet of the police. Consider what is going on in Benue State today where Governor Ortom is being accused by the Nigerian Police of arming militia groups with AK-47. A local law enforcement structure will bring sanity to the system. A state police officer on the payroll of the state is more likely to be committed to the state. He lives in the community, and is not a faceless individual like a federal policeman from Katsina or Enugu posted to Benue. He is known in the neighbourhood as people in the neighbourhood know him. Apart from this human perspective, there is the technical argument. When a state government enacts laws, it should have a state police force to enforce those laws. Fundamentally, the herdsmen-farmers clash is an economic issue. Herdsmen wish to feed their cows, and farmers wish to grow their crops and animals. Some of the fiscal recommendations of the 2014 National Conference can help to alleviate the economic challenges faced by both parties. The Land Use Decree of 1978 which cedes ownership of land to government gives the federal government the impression that it can empower its allies with land. Devolution of power from the federal to the states will enable states to determine whether to sell, lease or co-own land with herdsmen. The federal government must not be allowed to continue to abuse its powers of Eminent Domain. It is also not to be overlooked that herdsmen are operating under frustrating, even desperate circumstances. Global warming has reduced the availability of grazing land, and growing urbanization is making nomadic cattle rearing, a normally dangerous occupation, even more dangerous. Cows kept in controlled conditions of the ranch will produce better quality beef; more tender and more robust. Under the ranch condition, cattle owners will multiply their herd and develop the full potential of the cattle industry. The gun-totting Fulani herdsmen remind us of the gun-swinging cowboys of the notorious 19th century American Wild West. Both carry arms to fend off cattle rustlers, and by wandering around the land, both threaten farmlands and settled communities. The American cow herding activity transitioned into ranching and big business financed by banks. Modernization in Nigeria dictates that the Fulani herdsmen and their employers adopt a restructured business model which will promote peaceful co-existence and enhance productivity.